Football is one of the most passionate sports out there, and often tends to bring out the best, and worst, of its religiously faithful followers. In England, roots play a reasonably big role in determining which club you support. However, whether you’re from around the area or from other countries in Asia, Africa, Australia, Europe etc., the one feeling that brings everyone together is the passionate love for their football club. Once you pick a club, it’s almost as if you are contractually obliged to follow it for life. It is quite common to see the phrase ‘shedding blood, sweat and tears’ taken quite literally in football, and while this contributes to the beauty of the game, it is also often the root of its problems. Quite often, supporters take their passion to extreme levels and irrespective of how much they love their teams, there are boundaries that simply must not be crossed. This is where the authorities come in, and maintain order in the game. However, there are fans of certain clubs that are notorious for always pushing the limit, which leads to a number of suspensions being handed out. 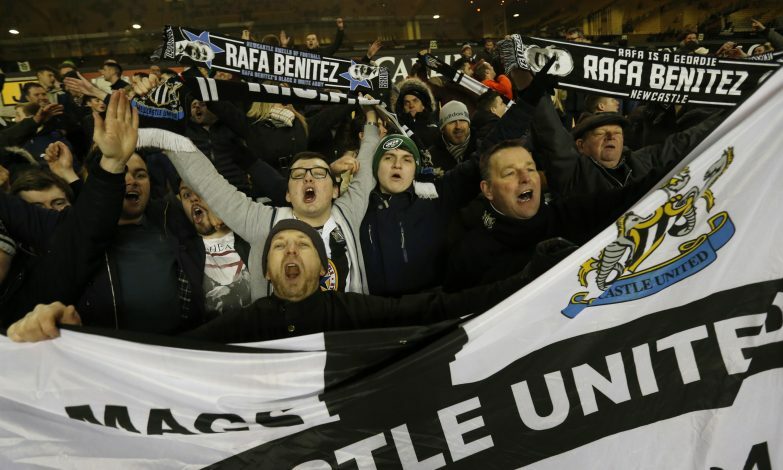 In the UK, there is no fan base more guilty of this than Newcastle United’s, who are statistically proven to be the worst behaved fans. The Magpies have held this record for three years now, having had to dish out a total of 132 suspensions in 2014-15, 124 last year and 111 this year. Wolverhampton Wanderers are second on the list with 75, while West Ham United make up the last of the top three with 57. In terms of the big six, Manchester United are most guilty of having over-passionate fans with 49 suspensions, while arch-rivals Liverpool follow closely behind with 44.